My DT entry is a thank you card for my Auntie who sent us a big fat cheque for Christmas! I used a stamp by Little Claires which I decided to fussy cut out which turned out to be quite a challenge! 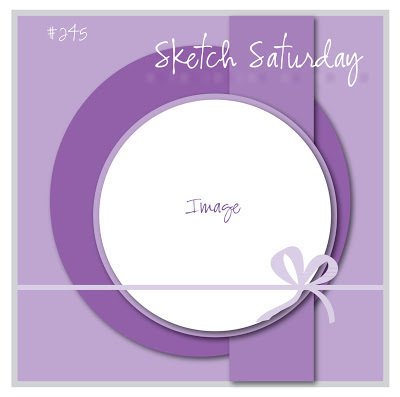 This week's Sketch Saturday challenge is sponsored by Simon Says Stamp and there is a prize on offer so make sure you pop on over and join in!